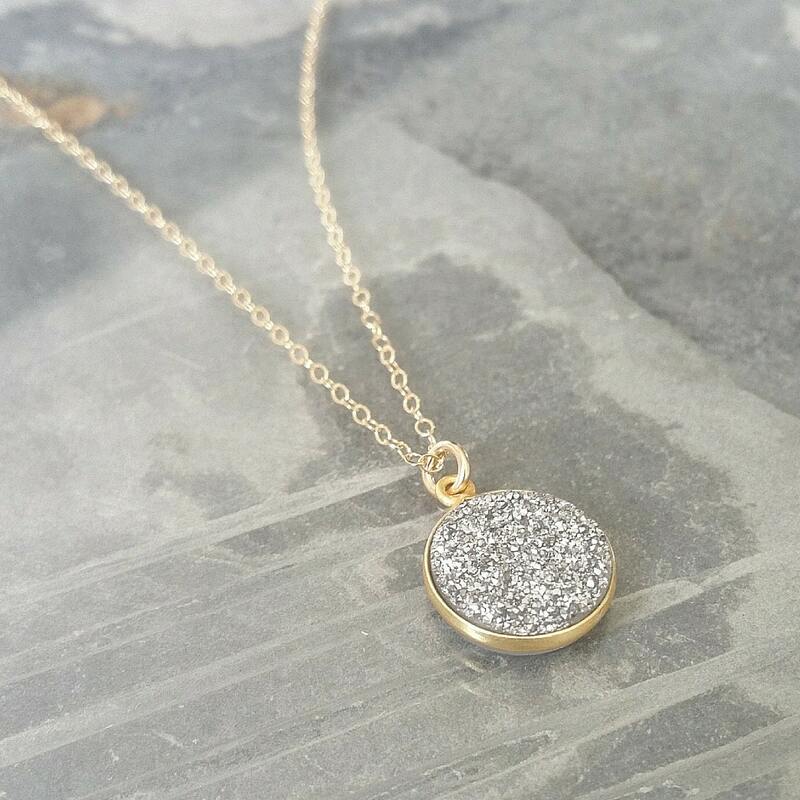 Gorgeous & simple, this vermeil gold druzy pendant dangles from a gold filled chain finished with a gold filled lobster claw clasp & findings. Dress this sweet necklace up or down, it goes with everything!! The necklace is available in 16", 18", 20" or 22". Please make your selection from the drop down menu above. 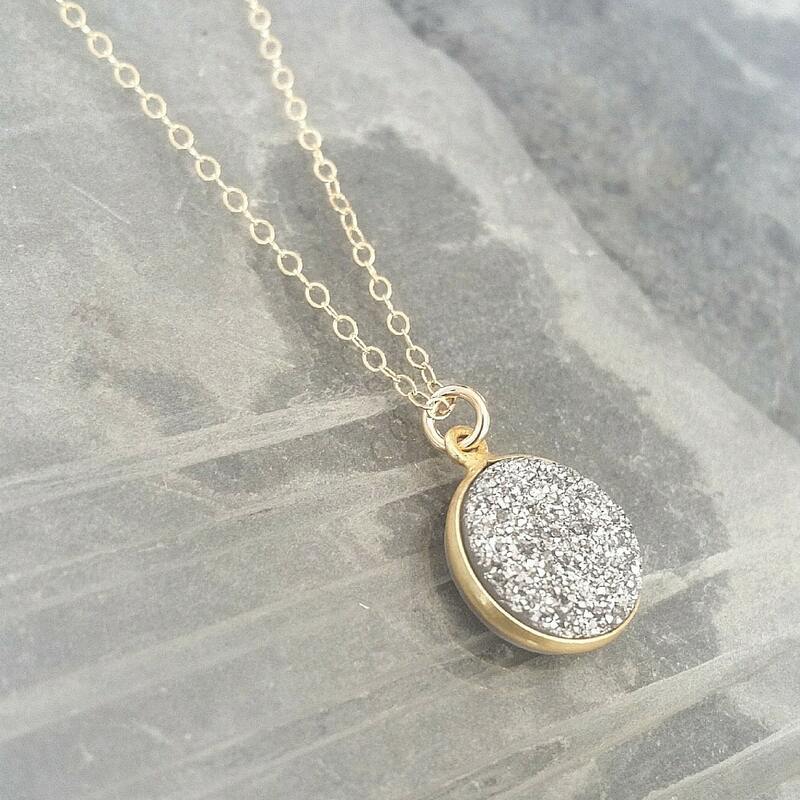 The druzy bezel is approx 14mm or just over 1/2" in diameter. Very pleased with my purchase. Arrived in a very timely manner and very well made. 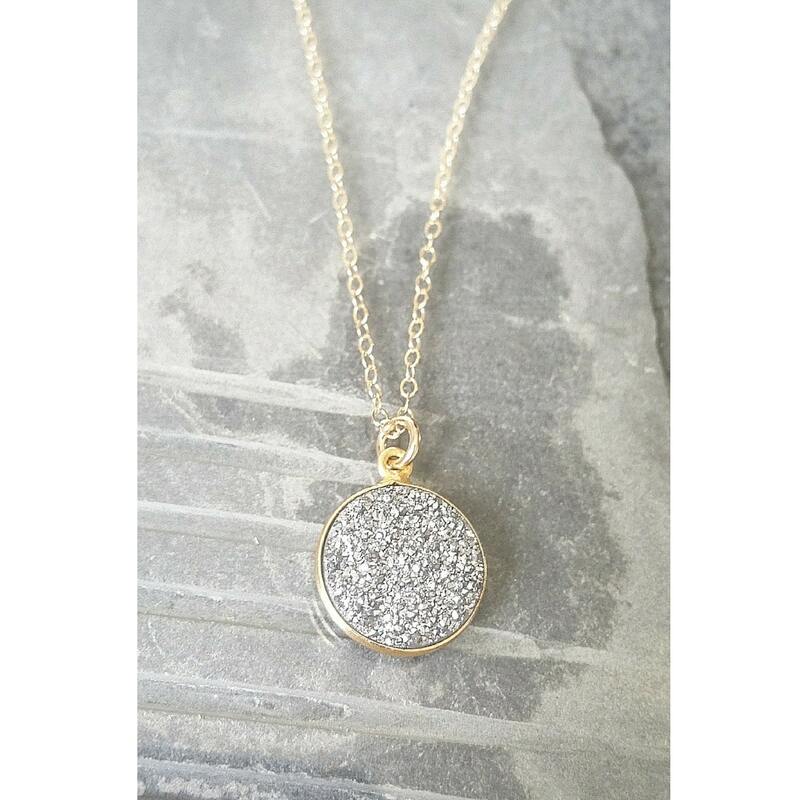 I ordered the gold/silver druzy necklace & coordinating earrings. They are beautiful and very nice quality. The seller shipped them in a timely manner, as she knew I was in a time crunch. I would order from the seller again in a heartbeat. Beautiful quality piece, friendly communication, and quick shipping! Would highly recommend this seller!